A new pamphlet that will be distributed by the Bayit Yehudi party will include letters of support from prominent rabbonim. The release of the pamphlet is an effort by the party to climb out of a slump, seeking to show it has far-reaching rabbinical support despite what some religious voters may believe. 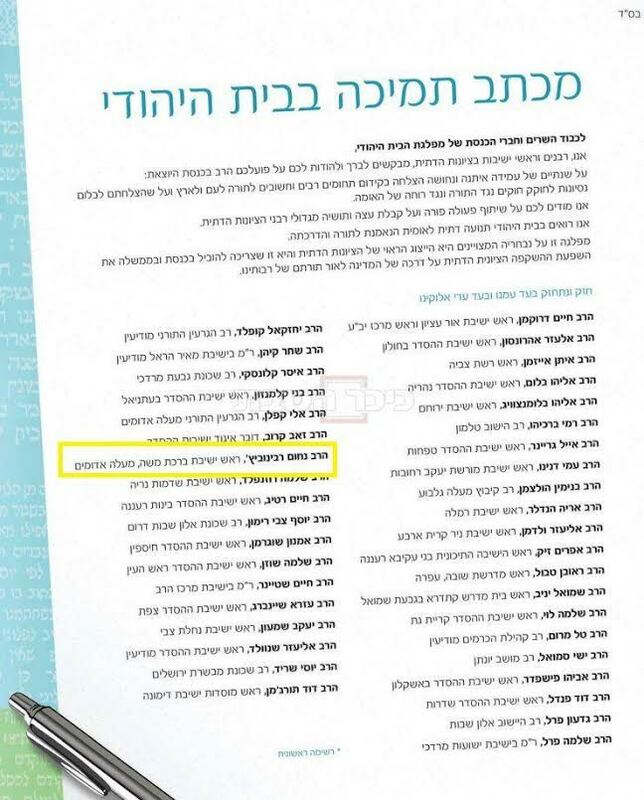 It appears that as the Yachad party continues gaining support among Bayit Yehudi voters, the dati leumi party is fighting back with the pamphlet full of rabbinical endorsements. One of the rabbonim listed if Rosh Yeshivat Hesder Maale Adumim Rabbi Nachum Rabinowitz Shlita, among the prominent dati leumi rabbonim. Rabbi Rabinowitz told Kikar Shabbos “I never signed such a letter. Generally speaking they are good people but I never mix into politics”.